To provide knowledge in the fields such as water treatment, polymers and composites, conventional and non conventional energy storage devices engineering materials, electrochemistry, corrosion control, alloys, analytical techniques to the engineering students. 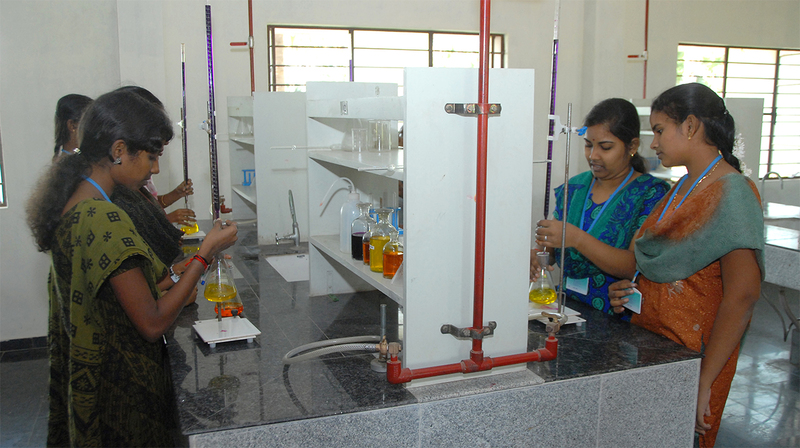 To impart a sound knowledge on the principles and applications of chemistry to the engineering students. Chemistry laboratory has fully equipped with instruments such as Digital Conductivity Meter, Digital Potentiometer, Digital Potentiometer, Flame photometer, Spectrophotometer, Digital Electronic Weighing balance, Demineralization unit, Viscometer and glass wares.